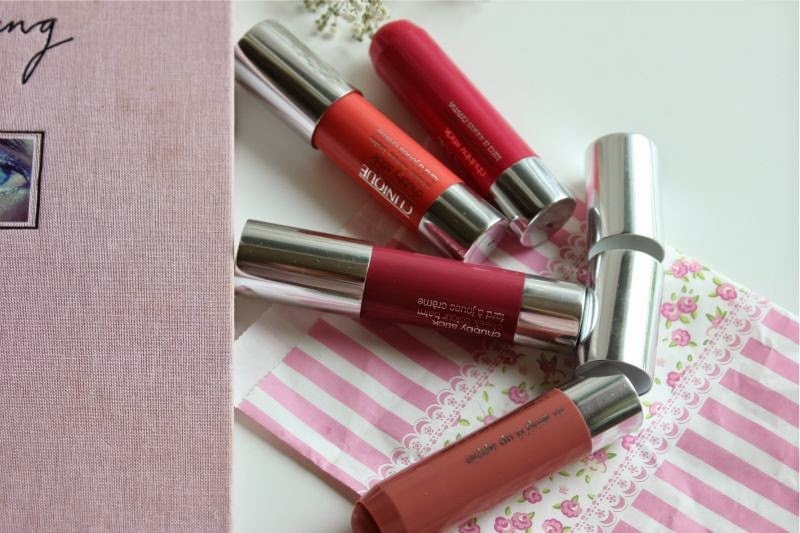 Much like their lip counterparts the Clinique Chubby Sticks for Cheeks are packaged in chunky crayon style casings which are very easy to grip...even on a packed train, trust me. 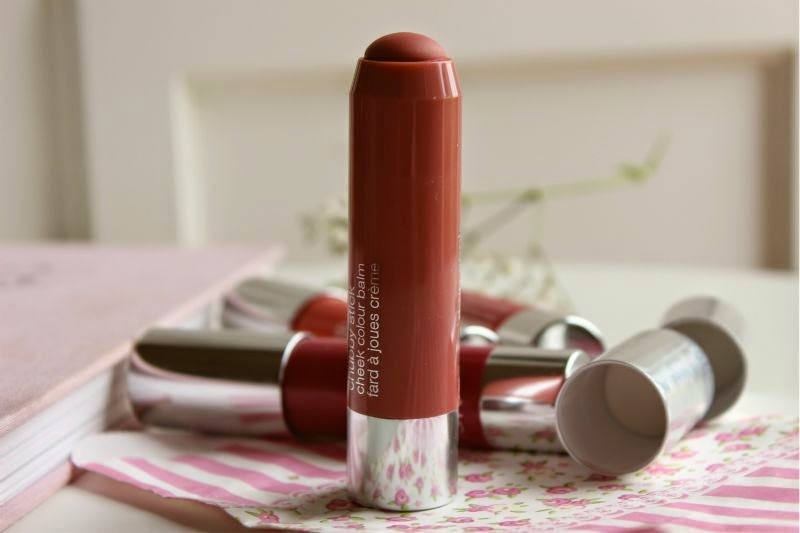 As they are in pencil form you can apply straight to the lips and blend out with a brush or your fingertips, again nothing short of wonderful when you are on the go. One thing that completely sells the new additions to me is the fact that unlike tradition pencils of any type you simply twist up the base to expose fresh product, gone are the days of losing half a pencil to a sharpener! 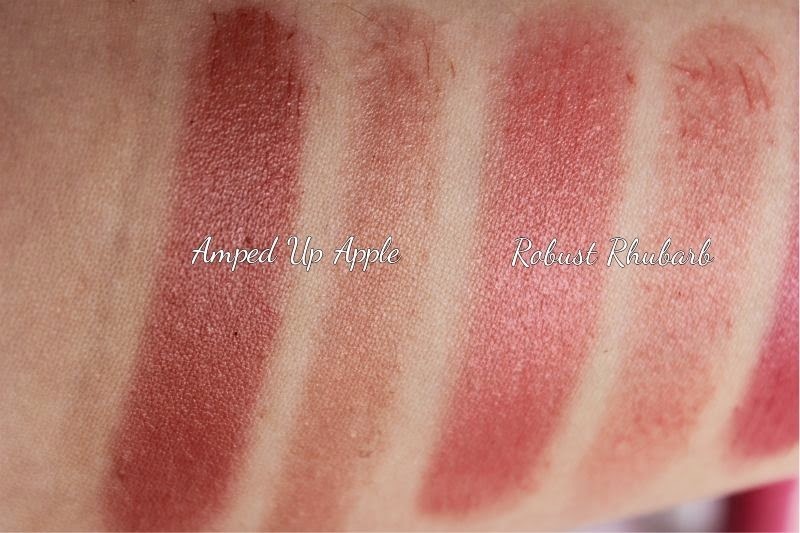 Within the Clinique Chubby Sticks for Cheeks there is four shades all of which I deem to be fairly universal, we have: 01 Amped Up Apple a muted, yellow toned, pink tinged brown. 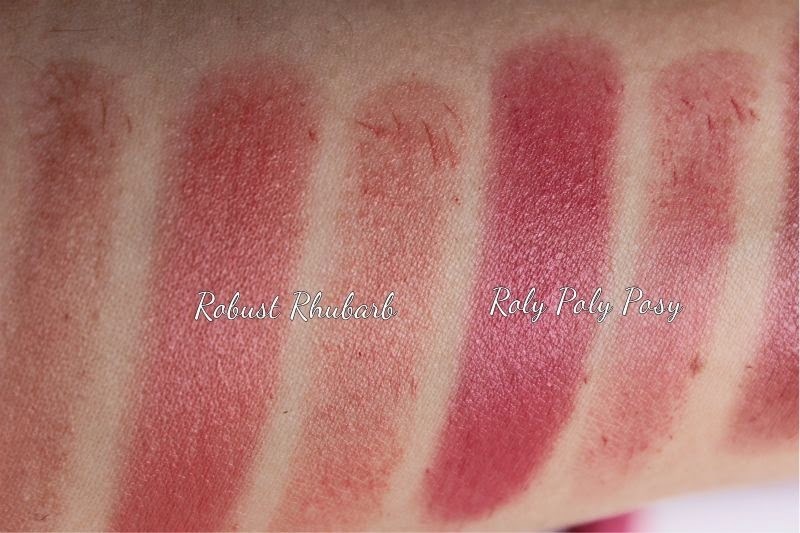 I deem this to be the perfect neutral blush, one you can team with any look and it will work. 02 Robust Rhubarb a bright and again yellow toned blush but this is of course a perky coral. 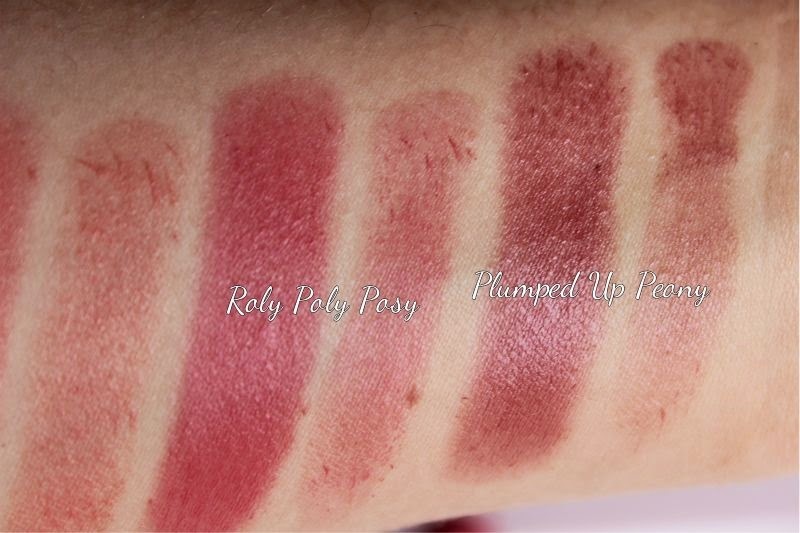 03 Roly Poly Posy is a yellow tones pink that does lean a little coral but is the pink offering out of the quad. If you are a fellow blonde you pretty much need this in your stash! 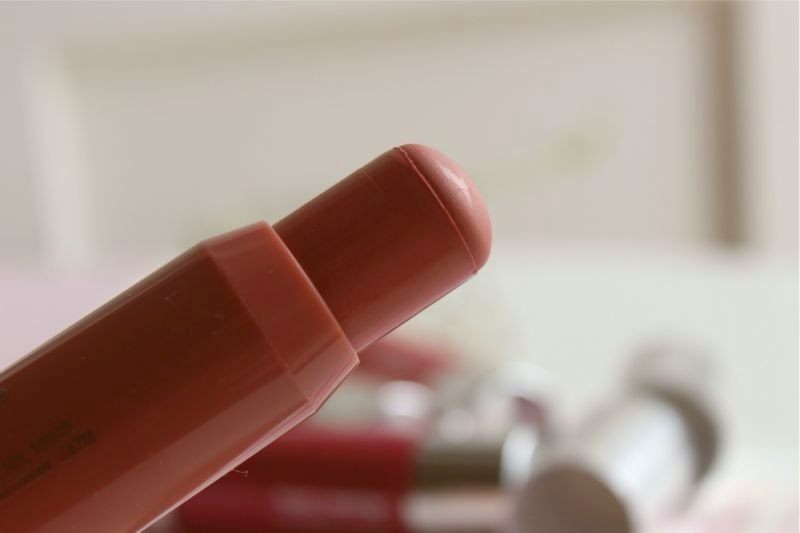 04 Plumped Up Peony this is a deep and slightly cool toned plum hue that looks pinker on the skin than in the tube. Out of the four this is the shade that is least favoured by myself. The formula of the Clinique Chubby Sticks for Cheeks surprised me, in the tube they look a little dry but they glide on to the skin and almost have a silicone like feel. 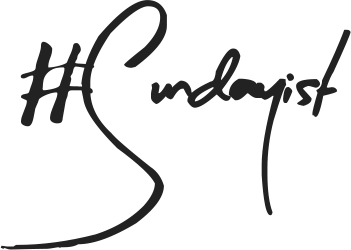 Each shade is beautifully pigmented but can be sheered out with the fingertips or a brush for a hint of a tint. Personally I stroke the Clinique Chubby Sticks for Cheeks onto the skin in a line down my cheekbones then pat in using my finger tips. If I want a more sheer approach I do buff into the skin using a duo fibre cheek brush. The Clinique Chubby Sticks for Cheeks are cream to powder formulations, the overall finish is semi-matte and utterly flattering. As mentioned they do have a silky, almost silicone based formula which means that the tints do not settle into pores nor do they make any imperfections more noticeable or cling to any dry areas, In terms of wear I find that typically the Clinique Chubby Sticks for Cheeks fade around the 7 hour mark on my oily skin but for normal and dry complexions I would imagine that is prolonged. All in all great a great range of cream blushes that are wonderful for travel. 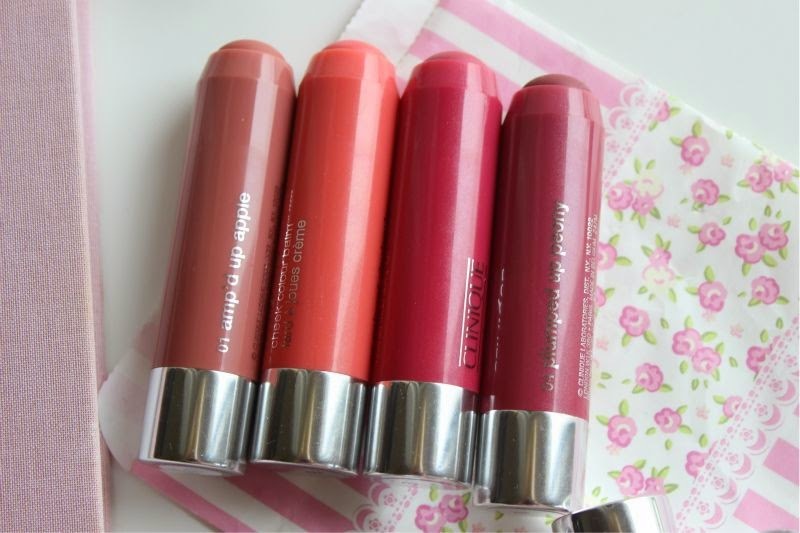 Clinique Chubby Sticks for Cheeks £19 each via Boots - link. These are all such stunning colours! I really need to pick one up. WOW, the colours are lovely so bright & pigmented! 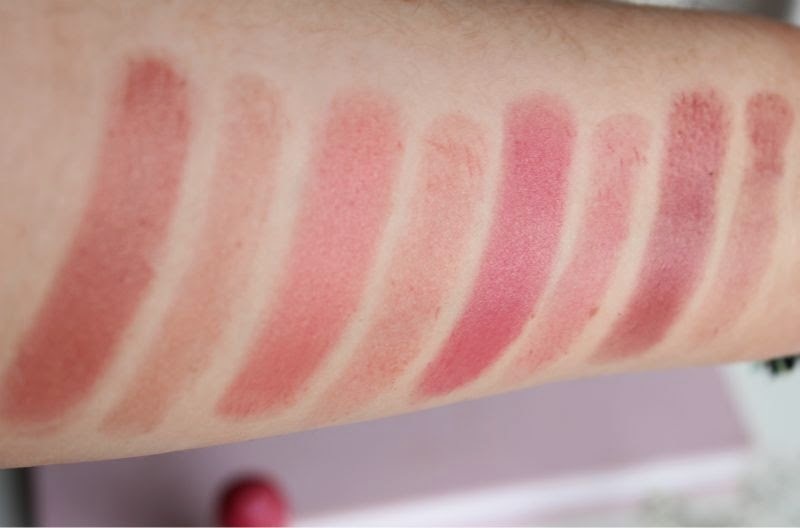 Stunning product, the swatches look really great! Oh Clinique, you continue to impress me. 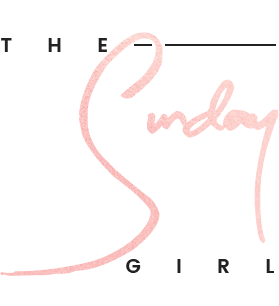 I'm such a huge fan of Clinique, yet to find a product I haven't loved. 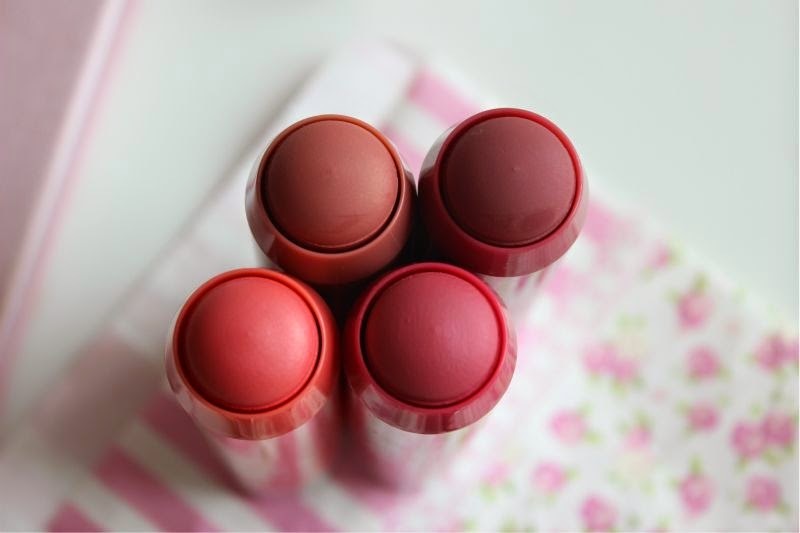 I really need to try these new Chubby Sticks! And I'm with you, here's hoping for a highlighter and concealer! Robust Rhubarb (what a name) get in my life now please!! I really love Amp'd Up Apple, works so well on my pale skin! I really want to how these a try they look and sound so good - twist up products are much easier to use and I think that should be the universal applicator now! I love these! Fabius colours too! These look a lot better than how I thought they would look!